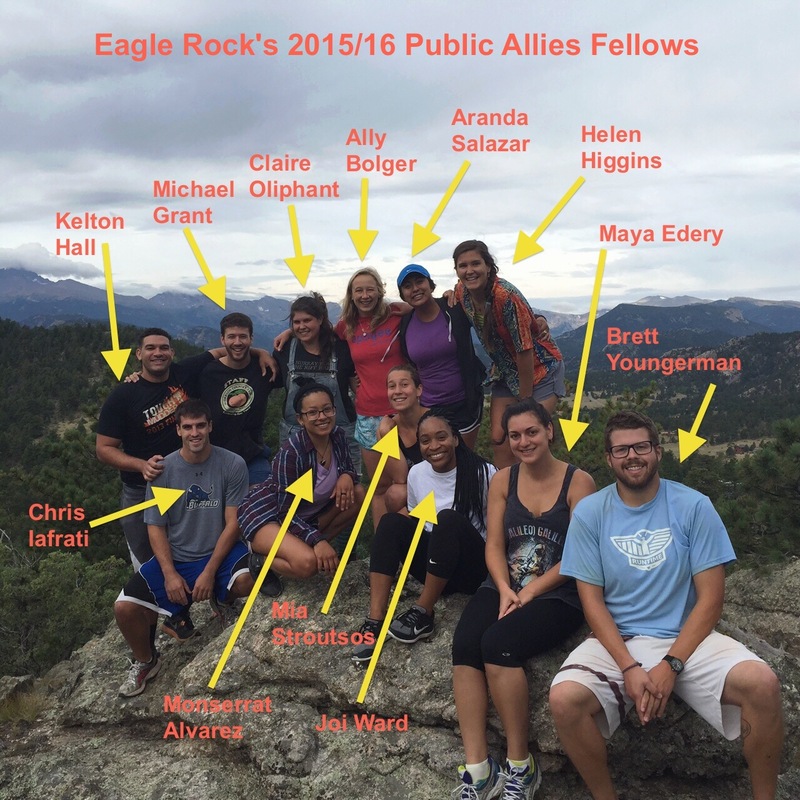 Our 2015/2016 Public Allies fellows depart our mountainside campus at the end of this week after spending a year teaching, learning and being an enormous part of the Eagle Rock family. This latest cohort of fellows joins an impressive 150 Public Allies Fellows who have completed the program here at Eagle Rock. In fact, our program is among the most successful in the nation, scoring in the high 90th percentile. You can learn about this group at their arrival on campus last September by reading 2015/2016 Public Allies Fellows Arrive On Campus. Ally Bolger, Science Teaching Fellow: After Eagle Rock, Ally is moving to Colorado Springs where she will be teaching high school biology and chemistry at CIVA Charter High School. She is excited for the opportunity to apply all she has learned about alternative education, engaging teaching strategies, and building supportive relationships with students. In her free time, Ally is also excited to spend more time outside and explore her new surroundings. And since she’s very familiar with the 2.5-hour drive back to Eagle Rock, we’re looking forward to many return visits.